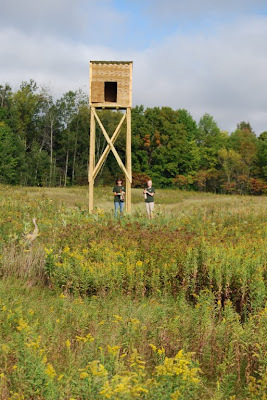 The population of all ground nesting birds is in serious decline in some parts of the country. We are always very happy when we have the chance to save some of these terrific groundnesters. 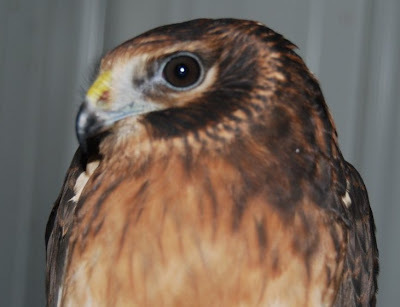 On Wednesday we released the last of the Harrier that come into rehab as youngsters. Harriers nest on the ground, often in fields of alfalfa or other agriculture crop. With the new hay mowing practices the birds do not have time to fledge their young before the hay or crop is cut. The adult and chicks are helpless on the ground and no match for large farm equipment. The Harrier chicks that were raised here were actually the lucky ones because most are killed without the farmer even knowing they ran over the nest. The real tragedy is Harriers and Short-eared Owls, and other ground nesting raptors are very beneficial to agriculture, the same profession that is in large part causing their demise. So many could be saved with through simple education. I am constantly amazed at how few people realize that many species of birds nest on the ground. Harriers will be migrating from our region within the month. While some birds will stay in the southern U.S. many will migrate as far as Brazil. 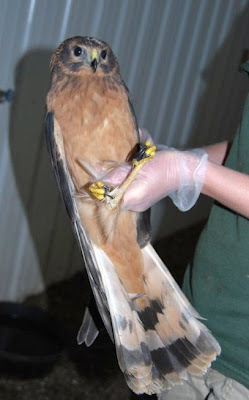 Harriers feed mostly on rodents. So, wherever they go you can bet there will be a good supply of rodents when they arrive. You can also be sure that rodent population will have a significant dent in it before they leave. I have always loved Harriers. There is something about the way they seem to float over their grassland world that is spellbinding. I could watch them for hours as they hunt. In the photo below taken nearly 50 years ago. 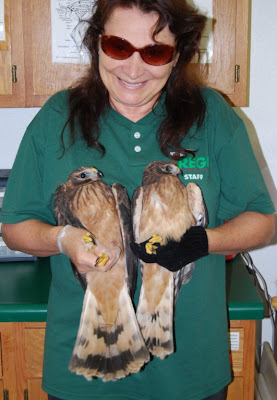 I was a young teenager when I rehabilitated my first Harrier patient. We have learned so much since then about proper caging. The chicken wire in the background of this old photo has me shaking my head these days. 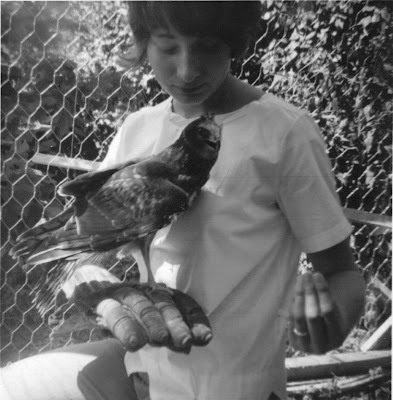 Wild birds should never be held in any wire cages. 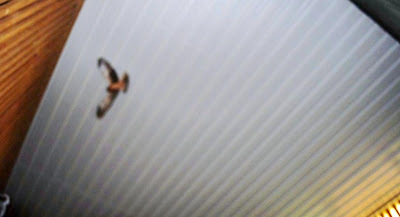 By some miracle the Harrier in this photo did well and was successfully released. Off to do some more work before I sleep. Harriers are wonderful. I like their coloring when they are young. Thanks for taking care of those two. Nice hack tower!